Want to learn more about Reviving Sisterhood and ways that we can partner? Have a great idea to share with Executive Director Nausheena Hussain? Working on 2019 civic engagement initiatives and want to talk to Advocacy Director Asma Mohammed? Or anything else you want to chat about? 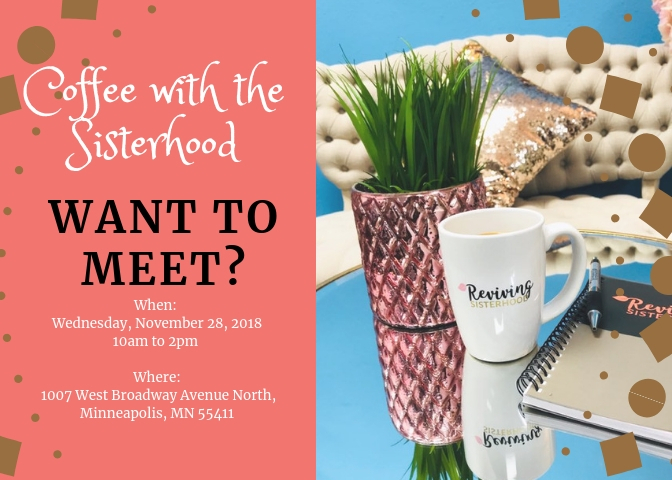 Come have coffee with the Sisterhood and let's work together. RSVP at contact@revivingsisterhood.org.